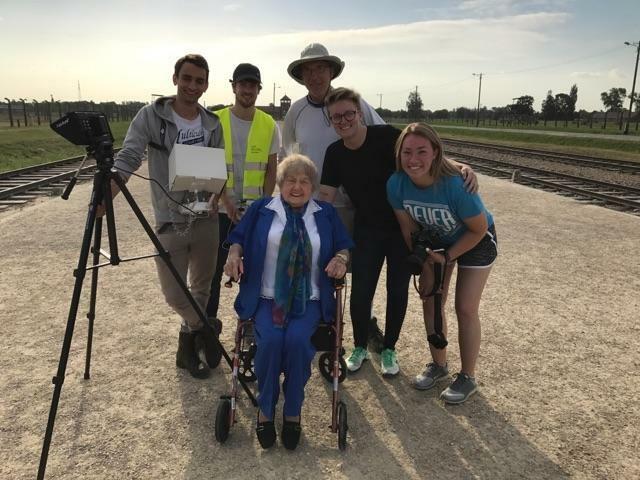 The crew with Eva after a successful drone shoot on the Auschwitz selection platform. 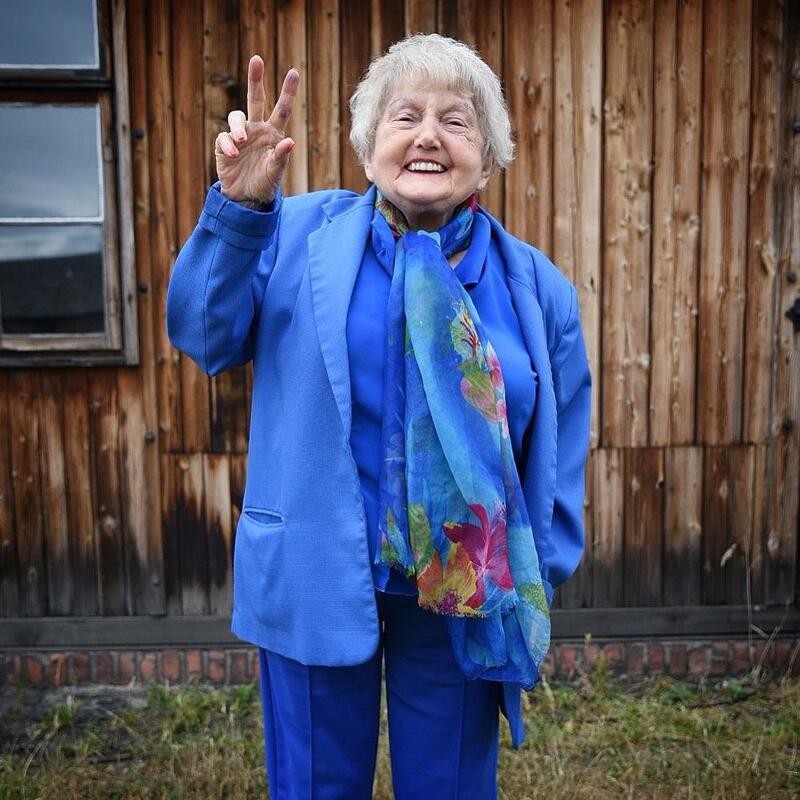 Eva strikes her signature pose outside of the Auschwitz Blood Lab. 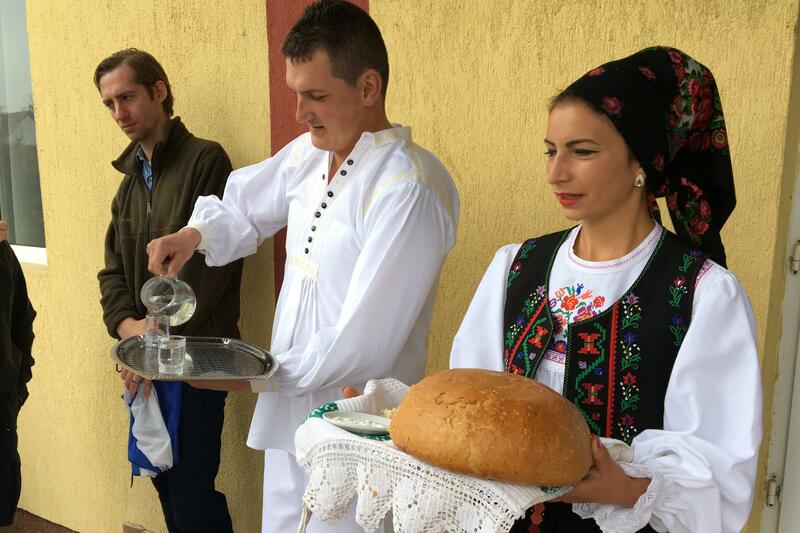 Even amid some of her worst memories, Eva’s joy is undaunted. 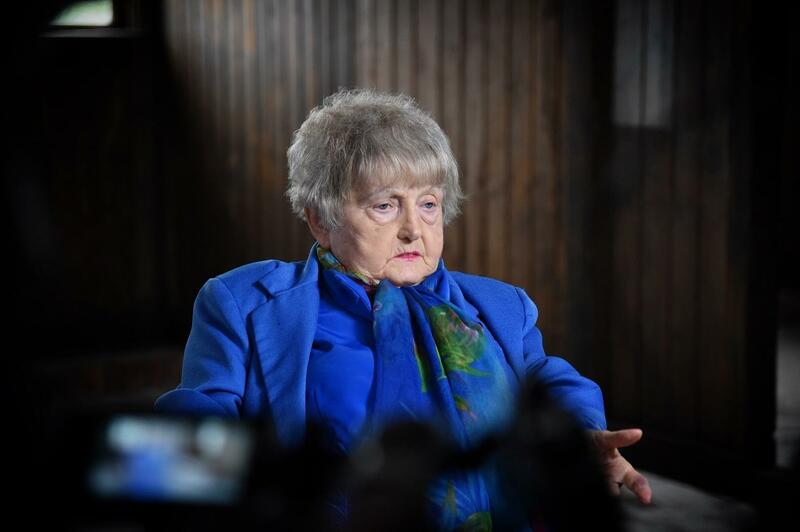 Mika Brown films Eva speaking to members of her Auschwitz tour in 2016. 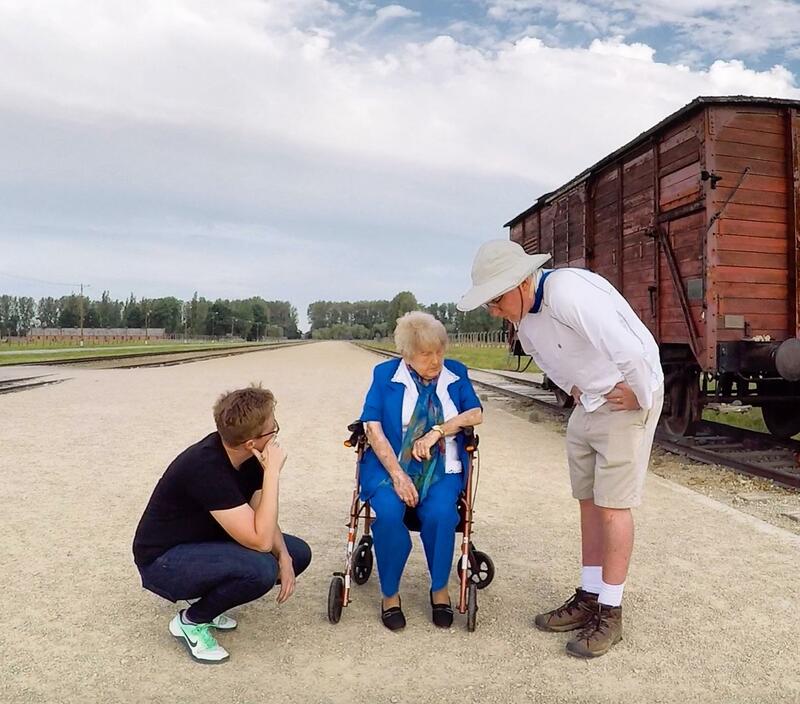 Mika Brown and Ted Green prep Eva for a drone shoot on the Auschwitz selection platform. 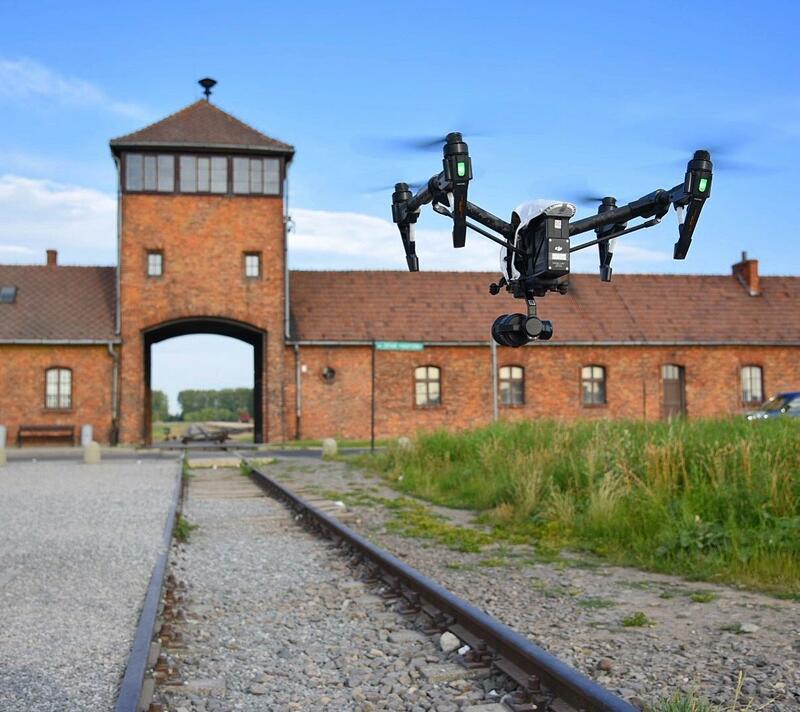 A drone camera moves toward the entrance of Auschwitz-Birkenau during a day of specialty shooting at the camp. 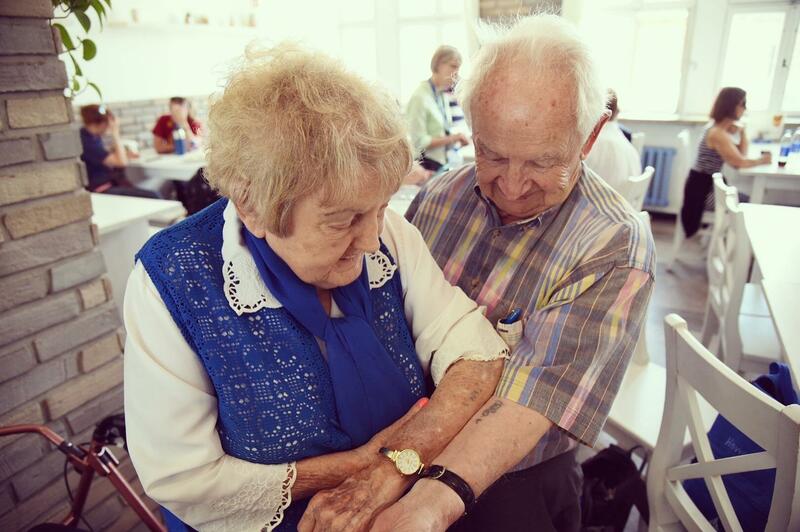 A tradition for Auschwitz survivors: comparing tattoos. 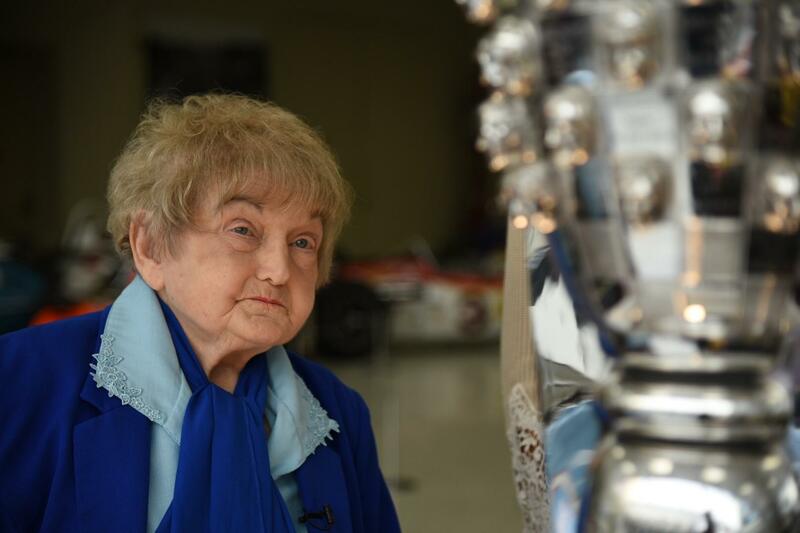 The only way to truly understand and portray Eva is to go to Auschwitz with her, and we've done so twice. Oddly or not, it's where she feels most alive. We've captured her leading her tours -- a lot more humor than one might expect -- and done several intensive photo (and drone) shoots with her at the places most central to her journey. 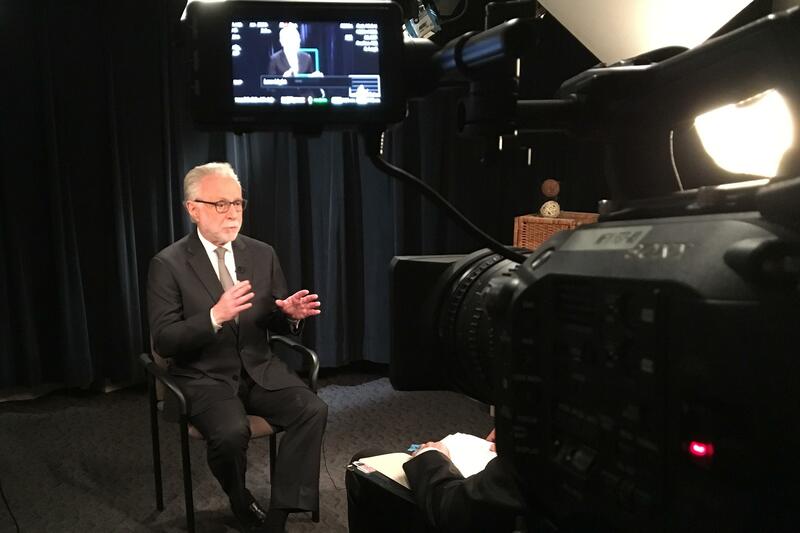 And our interviews there have been priceless. 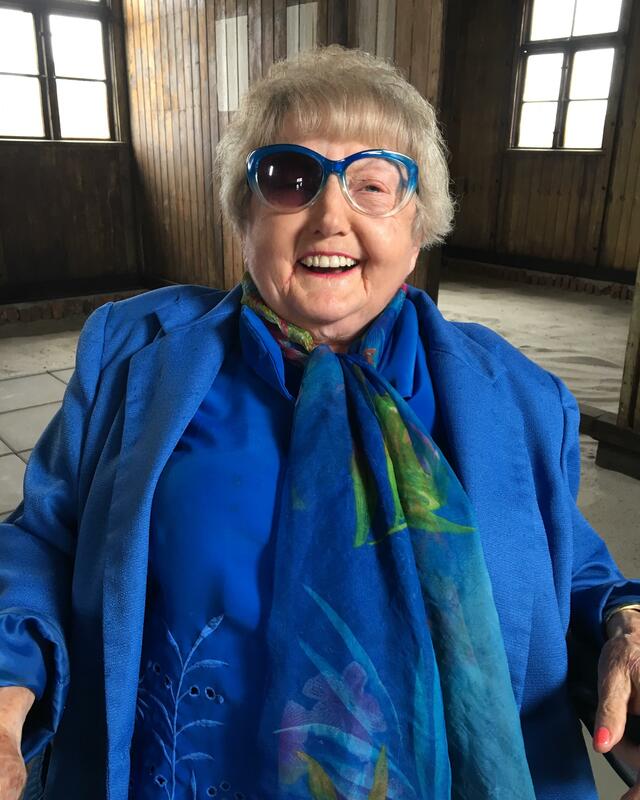 The first was in a barrack, the second in the blood lab where she and the other Mengele Twins were regularly injected with substances unknown to the victims to this day. Eva bravely "went there" and beyond in both, providing insight that will drive our story. 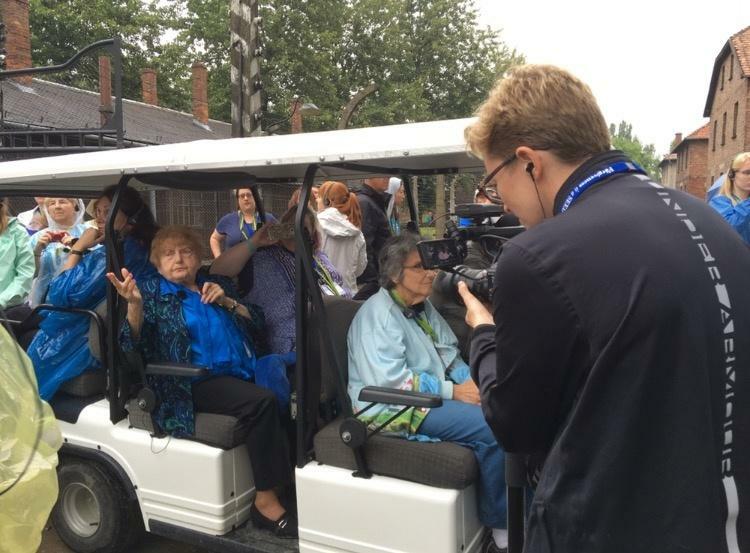 Auschwitz I and Birkenau as captured by Mika Brown, Andy Young and Luke Skyvideo.